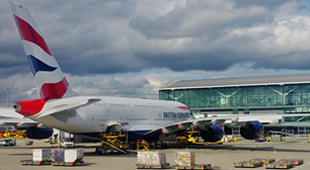 The Business Intelligence Centre (WikiBAG) offers the latest information on airport projects across the world. The Business Intelligence Centre (WikiBAG) is the central location for all members to share business related opportunities. It offers the latest information on airport projects across the world, bringing together intelligence gathered from Members, missions, and our network of airport and aviation contacts. WikiBAG provides a comprehensive overview of potential programmes and projects from planning to operation and will keep Members ahead of the game when identifying potential opportunities. The Sales Leads & Tenders are also available for BAG Members under WikiBAG in the Members area of the website. Please note that WikiBAG will only be available to BAG members. For more information about BAG and the various benefits we offer our members, please go here to apply to join BAG. If you have a project or programme that you feel would be of interest to our members, please contact the BAG team with further details. The DIT Business Opportunities service is a web based system that allows UK companies to register for 1000’s of free sales leads in 42 sectors in over 100 countries. These are sourced by DIT experts and put you in touch with companies in that market who are looking to source millions of pounds worth of goods and services from the UK.